You must make reservations at least 5 minutes in advance of the time at Miku Restaurant - Toronto. Private paid parking. Entrance on Queens Quay. Two blocks away from Union Station. We are connected to the path as well. 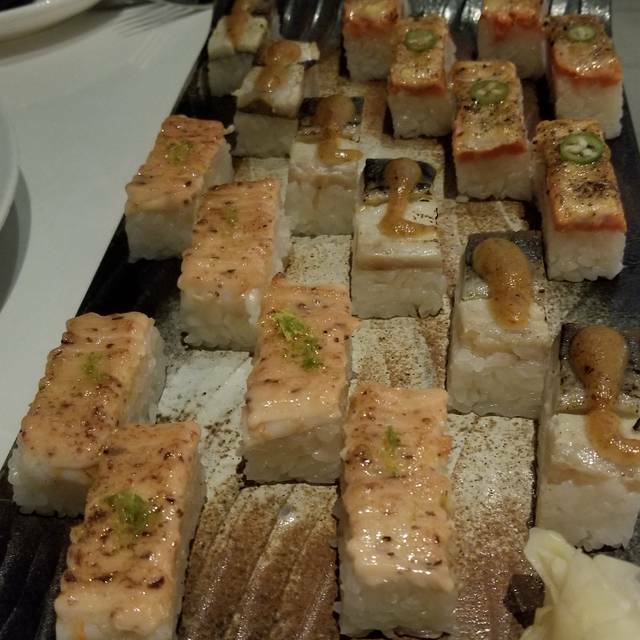 As the first East Coast location of Vancouver based Aburi Restaurants, Miku Toronto is proud to bring Aburi cuisine to Toronto's waterfront. We specialize in innovative Aburi Sushi and seafood. 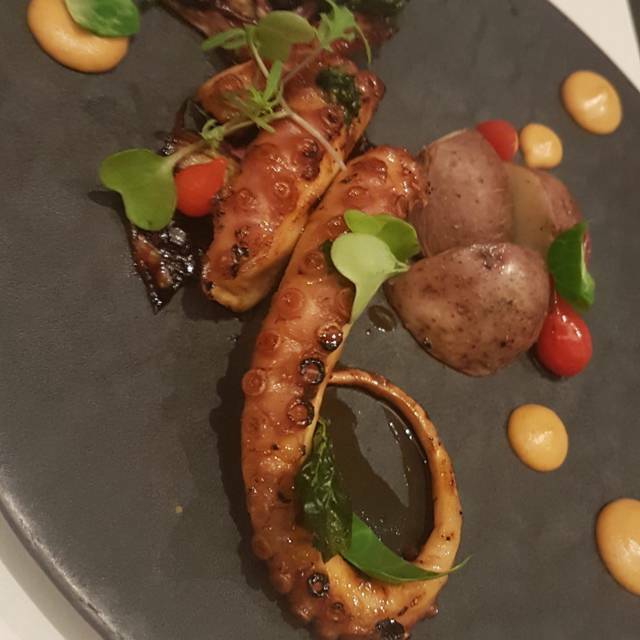 Combining traditional Japanese techniques and flavours with fresh, local ingredients, our highly skilled chefs pair each morsel of sushi with a unique house made sauce in order to bring out the rich flavour profile of the fish, and then seal the flavours with a binchotan (oak charcoal)- accompanied flame sear. The result is the secret to Miku's success: sushi with a smoky aroma, umami flavour, and decadent, melt-in-your-mouth texture. We also offer a variety of seafood entrées, appetizers, as well as seafood platters. 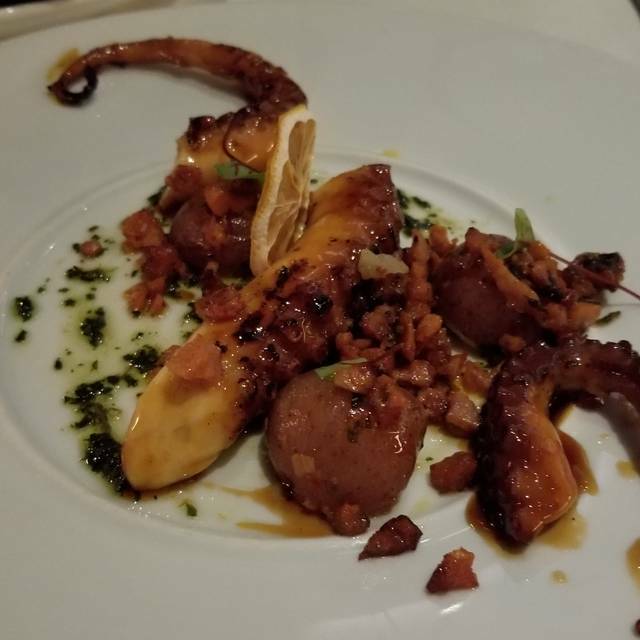 Our menu is best paired with our extensive sake, wine, and cocktail selection. Join us for Mother's Day weekend with our special chef features. Food was really good and our waiter was very attentive. Amazing food, service and ambiance! Best sushi hands down! Good experience! Very consistent. The miso soup is way too overpriced. Didn’t order it, but it came and still had to pay for it...OTHER than that it was great! Very enjoyable. Great service & delicious food. I highly recommend. Wonderful experience great service and delicious food! After two other outstanding services this visit was disappointing. Server was abrasive and not too knowledgable especially about Saki. Food was just ok. We did our best to enjoy in any event. Takes what should be a 5/5 to at best a 3/5. Proves that trained staff is an asset. great service. food was interesting but not great. It was good but not as good as the original in Vancouver. 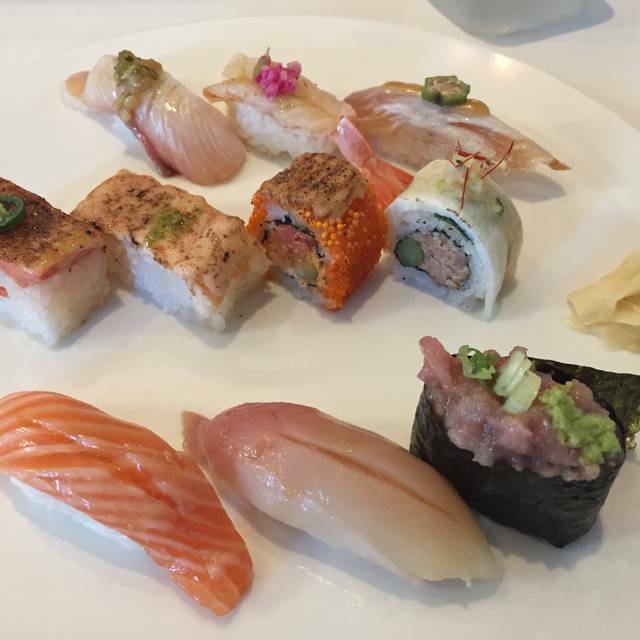 Top notch sushi in a modern environment. The sushi is light, elegant and a bit expensive but definitely worth a visit. Love the oysters and otoro. A bit pricy for the portion... food came slow. Otherwise it was amazing! Delicious and well presented food served by pleasant and interestingly informative staff. Overall a great experience. 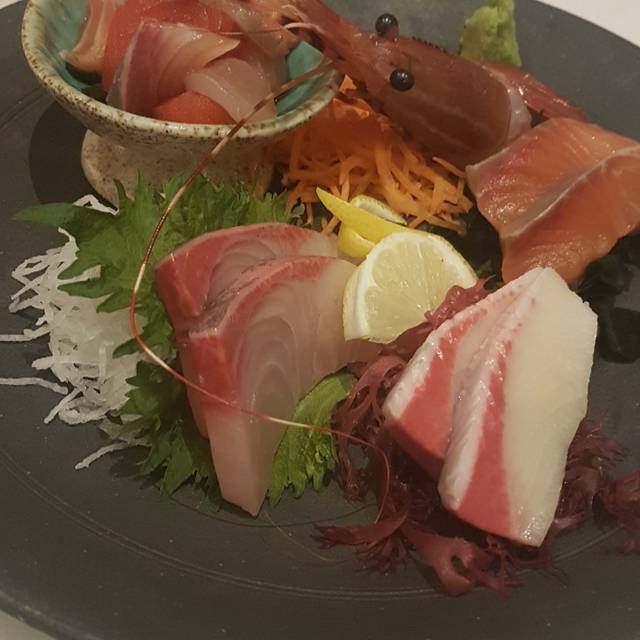 The only thing that bothered me was that the server told us MP for our otoro sashimi was 39 but come to find out on our bill it was 49. Not a big deal but annoying. Also service was quite slow, the wait time between each ordered dish was slower than usual. Ended up being there for a little over 2hours. Offers "omakase" style as well as a la carte. Delicious food and fantastic quality. Desert is awesome. The Ichigo Mochi Dome. Miku is fantastic. The menu is similar to Vancouver with slight differences. The sushi quality is amazing. I was surprised to see empty tables! Love the food and especially the service! Would highly recommend to anyone who loves sushi! 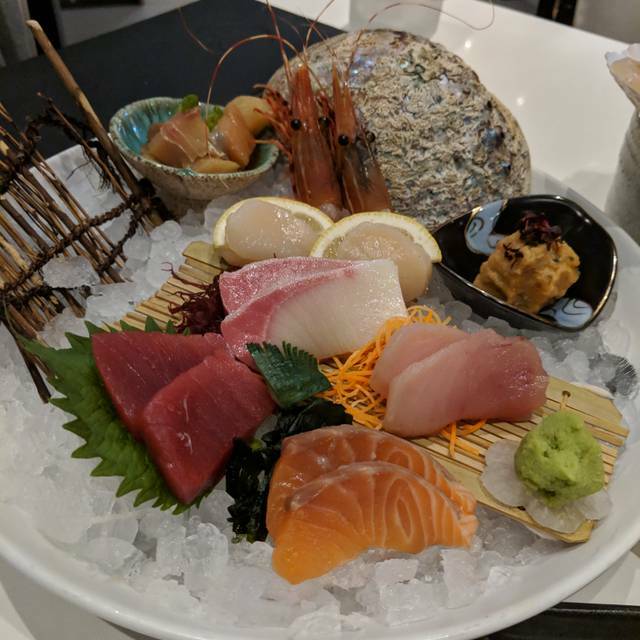 Another great experience at Miku. I had an issue with one piece of O Toro sushi and they happily brought back a new piece. The Salmon Oshi sushi is just fantastic. Highly recommended. Our sever Brendi (not sure how to spell it lol) was amazing. Had a great time experiencing Miku for the first time. Would recommend and for sure come back!! A little bit pricy but the quality of the food and service were great! 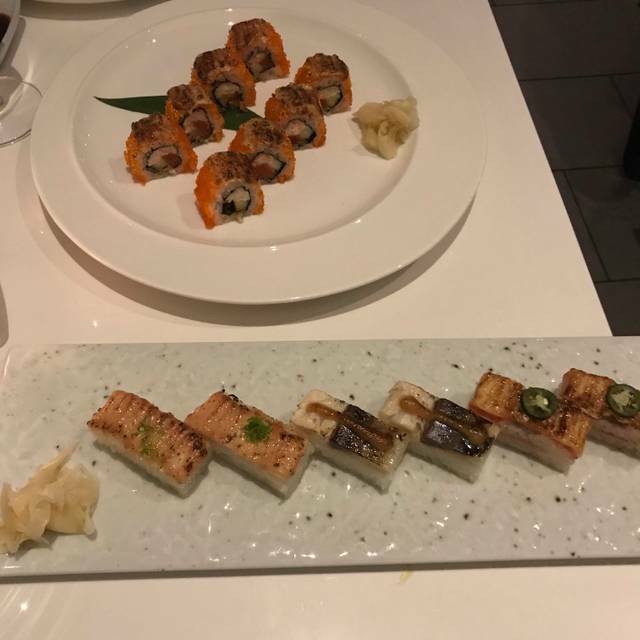 We had amazing experience of high class sushi and excellent customer service. 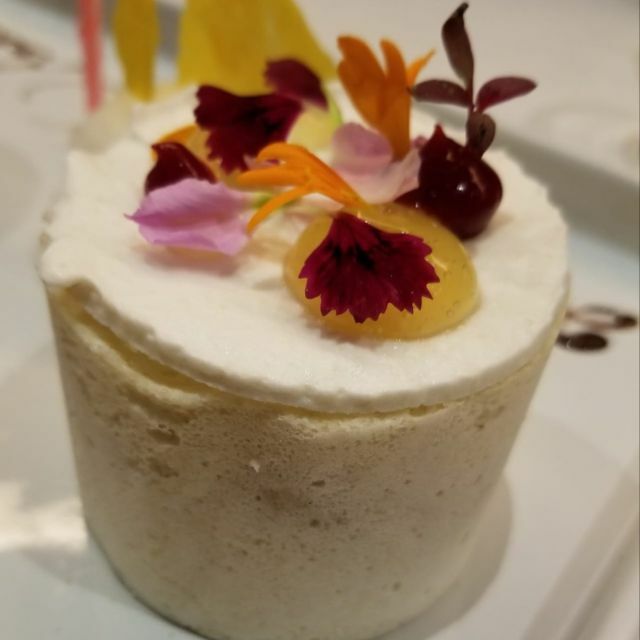 The desert was unique, fine pastry. I was pleasantly surprised by the decorated desert dish for my special occasion. Food and service is always amazing - thank you for a lovely dinner as always! From my order, I enjoyed the smoked duck breast, oyster, sashimi and dessert. I have had better tasting Aburi sushi other than here. Wonderful atmosphere. Great service with fun menu and incredible food. I love Miku in Vancouver. The Toronto location was very nice however the lighting is too bright and the room was not as cozy. But the food and service made up for the ambience. The food was amazing, as was the service. We will definitely be coming back! 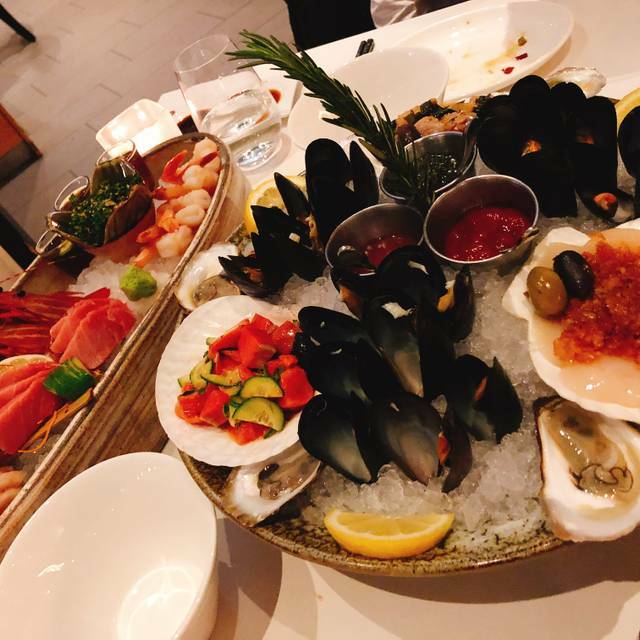 My wife and I absolutely loved this restaurant the Harbourfront Plater was great, but the Sushi plater was amazing we loved how the chef pre-seasons every piece with perfect attention to detail. Sushi was mediocre..... I tried to find the best sushi in Toronto & failed.